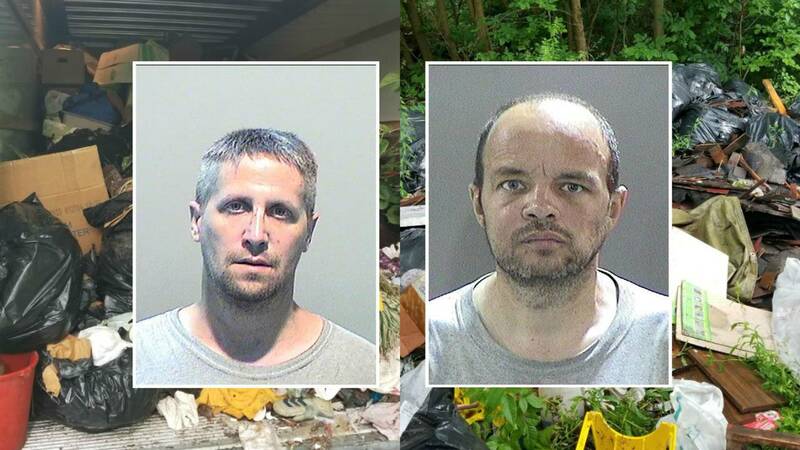 DETROIT - Three Taylor residents are facing charges after they were caught dumping trash from a full UHaul truck in Detroit. Police said a suspicious man was seen walking through an alley in the area of 7 Mile Road and Antwerp Avenue at about 3 p.m. July 16. When officers stopped to investigate, they saw two men and a woman dumping black garbage bags from a 20-24 foot UHaul truck. Police said Eric Strong, 41, and Clarence Lake, 49, had outstanding traffic warrants and were arrested. The woman was released and transported to a local hospital due to medical concerns. The Wayne County Prosecutor’s Office approved a warrant package and a not-in-custody warrant was issued for the woman, police said. Strong and Lake were issued $3,530 blight violations at the scene and their vehicle was seized. All three people face littering charges, police said. Anyone who witnesses illegal dumping in Detroit is asked to call the illegal dumping tip line at 313-235-4359.